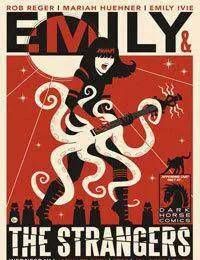 With the help of her trio of troublemaking cats, Emily is determined to make the most rockin' song the world has ever known and win a legendary haunted guitar . . . but can she do it solo? Only one thing is for sure—what Emily wants, Emily gets . . . sometimes.<br />Rock and roll adventures from creator Rob Reger.<br />Featuring limited variant covers by rock-poster legends!